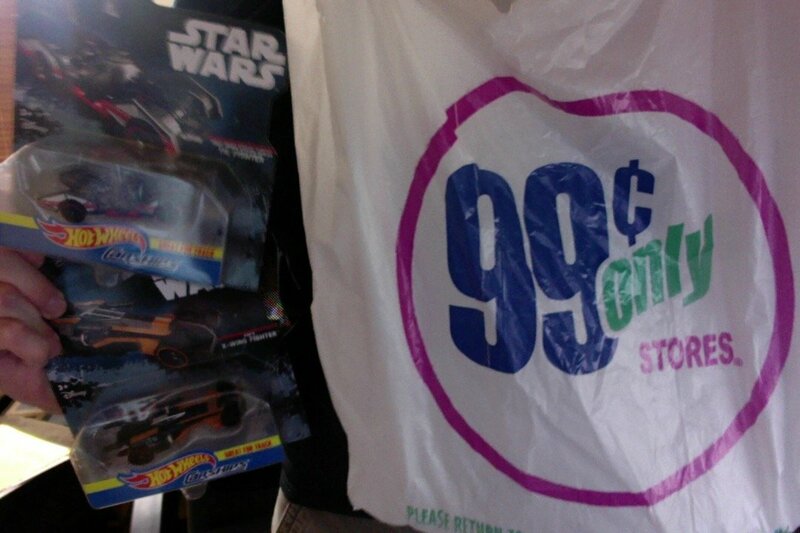 If you have the 99 Cents Only store chain in your area, take a look inside. Hasbro's dumping the The Force Awakens MicroMachines head playsets there for $4.99, and Hot Wheels Carships and Character Cars are there for 99 cents - I've seen Royal Guards, the Ghost, Poe's X-Wing, and others I haven't previously seen in circulation at the big box stores much/at all. Good hunting! 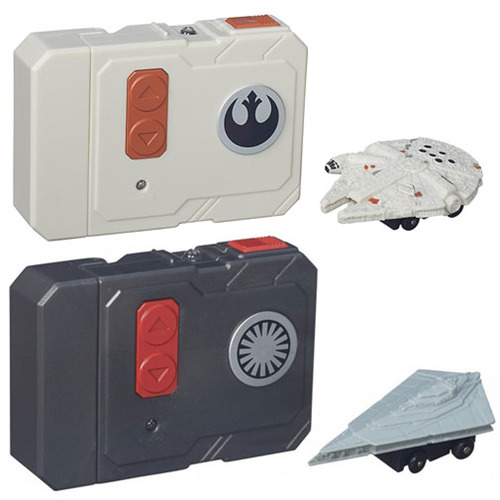 Ad: Take a look at the Star Wars The Force Awakens MicroMachines RC Vehicles Wave 1! These miniature vehicles are in stock (while supplies last) and each feature their own dedicated remote control unit. Order yours today! Oh boy, new MicroMachines! Some of these are shipping now - 3 new 3-packs are part of wave 2 and I've already got them here on my desk. (2 X-Wings and a TIE, Falcon/Executor/TIE Bomber, ROTS Jedi Starfighter/ARC-170/Droid Tri-Fighter). Other new entries include new blind bags and yes, new 5-packs. Do you want to see these? I certainly hope so, because I'm posting them for you regardless - I'm collecting these and I assume you are too. Do it.